I told you I would keep you updated on the best (and worst tips) and tricks for getting six pack abs…. So here’s 7 of the WORST foods you could be eating if you’re trying to get ripped…. Or even just to get healthy. Make sure you avoid these like the plague, whether you’re working out for six pack abs or just trying to be healthier. I have also included suggestions on how to replace these food staples to help you get ripped six pack abs. 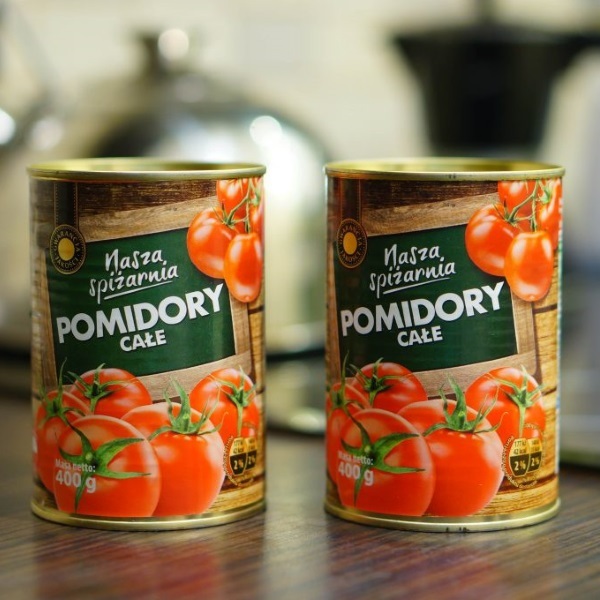 When it comes to hidden sources of sugar and high fructose corn syrup, your favorite canned tomato sauce is likely one of the sweetest culprits. That high sugar content will cause a spike your blood sugar, causing fat storage. Six Pack Abs Pro-tip: To top your pasta with a healthier sauce, check the nutrition label and see how much sodium or sugar it has. Better yet, make your own using fresh tomatoes and herbs. You can also find cans of pureed tomatoes with no added sugars or salt to mix with a bit of extra virgin olive oil, fresh spices, or chopped onions and garlic for added flavor. Remember, it’s always best to add your own spices so you know what’s going into your food – and eating whole foods as often as possible because as you remember, six pack abs are partially made in the kitchen with a clean diet. Nitrates may sound like a ticking time bomb, which isn’t far from the truth when you consider the levels of sodium, preservatives, and additives that are in deli meats—like ham, salami, and bologna. Adults who regularly eat these have increased risk of heart disease and cancer. Six Pack Abs Pro-Tip: You need protein to build the muscle for those six pack abs, but a better choice for deli meat is to get it straight from your local butcher and have them sliced to order. They might not last as long as packaged meats, but they’ll contain far fewer harmful preservatives – and don’t forget, foreign, harmful chemicals like those preservatives can cause increases in our fat storing stress hormone, cortisol, which is a primary enemy of six pack abs, like I mentioned in this article! Aside from the fact that whole-milk dairy products contain a ton of saturated fat (which means lots of calories! ), they’re also packed with another ingredient that will put you off your cereal—bovine growth hormone (BGH). This synthetic hormone is engineered in a lab to boost the milk production of cows. Six Pack Abs Pro-tip: Animal milk alternatives, such as almond, soy, and rice milk are good options, or hormone free, low-fat milk. If you think about it, that bovine growth hormone is meant to make big, fatty cows – think about the belly fat it stimulates on humans! If you want six pack abs, avoid milk with this added hormone because it will NOT do your body good! Hot dogs are yet another protein source that you should NOT be eating for six pack abs! By hot dogs, I’m really referring to any smoked, cured, or salted meat that contains chemical preservatives. Findings from the Physicians Committee for Responsible Medicine claimed that processed “hot dogs should carry cigarette-style warning labels!” It turns out America’s favorite ballpark treat is so full of sodium, chemicals, and toxins that regular weekly consumption can increase your risk of colorectal cancer by about 21-percent – And if you were wondering… definitely reduces your chances of getting six pack abs. Six Pack Abs Pro-tip: Luckily, chemical free hot dogs and sausages are yours for the taking at organic butchers and often straight from the farm. Sports drinks were designed for athletes who have just finished an intense training session with massive water loss and glycogen depletion – For this reason, they contain water, electrolytes and SUGAR. If your goal is to get six pack abs, then drinking these after workouts will NOT help you at all. One bottle of Gatorade contains over 30 grams of sugar – if you drink one of these a day you’re more likely to get diabetes than to get shredded. Six Pack Abs Pro-tip: You’re better off sticking to plain water, which you should certainly drink plenty of, especially around workouts. And remember those Amino Acids I’ve mentioned in the past? It’s the only workout drink I use anymore besides my pre-workout because BCAAs are especially great for six pack abs… See why in this article. Guys… Just because it’s gluten free DOES NOT MEAN IT’S GOOD FOR YOU! Many people have started to avoid gluten… a protein found in wheat, rye and barley (and a few other grains). Almost a third of the U.S. population currently wants to cut back on gluten or go gluten-free (but I bet almost all of them want six pack abs). Food manufacturers have caught up on the trend and have started offering all sorts of gluten-free “health foods.” The problem with these foods is that they’re usually not healthy at all. Instead of a gluten grain, they’re made with other starches like potato starch, tapioca starch or some others. These starches are usually highly refined, void of nutrients and spike blood sugar fast – and you know that when the blood sugar spikes, a lot of that sugar is going to be taken and stored right in the gut – taking you further away from six pack abs, and closer to diabetes. Six Pack Abs Pro-tip: Well it should go without saying that you want to avoid “junk-foods” as much as you can, but some decent alternatives for 6-pack approved ways to cure your cravings are listed in this article here! This is one of the hardest things for people to believe.. But artificial sweeteners really aren’t solving any weight loss problems or helping anyone get six pack abs- in fact, they may be making things even worse. Six Pack Abs Pro-tip: If you need a touch of sweetness, use natural agave syrup, honey, or real maple syrup sparingly. I know it can feel like getting six pack abs can be complicated – and the truth is, you don’t have to follow every single one of these to a “T.” Many of these tips and tricks will help you in the long run to improve your fitness AND overall health, but you might find it easier to just try a few at a time instead of going all in at once. It took me a very long time – but I had to learn everything along the way for myself and I didn’t have anyone giving me all the advice. So take my word for it, and do what is possible for you while you build healthier habits and work on those six pack abs. And don’t forget to stay on the lookout for new blog posts every Monday and Thursday… Leave any questions or comments below and let me know what you think!